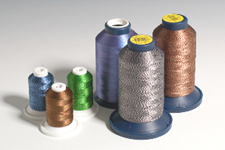 Robison-Anton is our flagship embroidery thread. 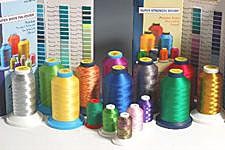 We sell all colors and all sizes of their polyester, rayon, Moonglow, "J" Metallic, variegated, Twister Tweed, and spun polyester thread. 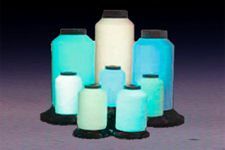 We offer Color Cards for polyester and rayon at cost, have Color Conversion Charts for many other brands, and a free R/A Catalogue Download. 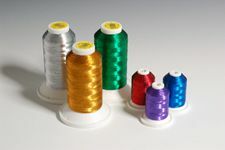 Robison-Anton's Super Brite Polyester is made from 40 weight, trilobal polyester yarn in over 450 colors. 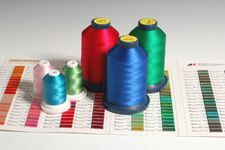 Many believe that it is the best all-purpose embroidery thread because of its bright colors, strength, color fastness and washability, perfect stitches, and fewer breaks. 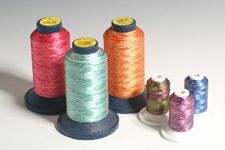 Robison-Anton's Super Strength Rayon is a 40 weight twisted thread that comes in over 370 brilliant colors. 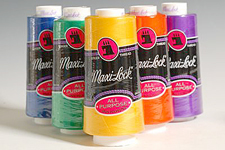 It is ideal for embroidery applications that call for high luster and silky, smooth feel (or hand). 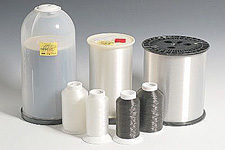 It is processed from imported, top-quality, high tenacity (strength) rayon filament. 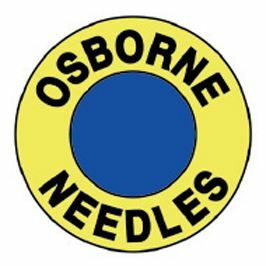 This results in a superior sewing, fewer thread breaks, and excellent stitch appearance. 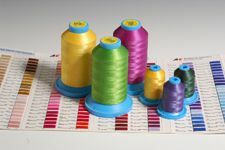 Robison-Anton's Super Strength Variegated Rayon is a 40 weight twisted thread that comes in 29 special 3-color and 4-color combinations. 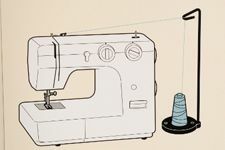 This makes embroidery look like it is changing color as the eye moves. It is a great way to create a focal point in any application. 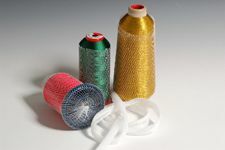 Robison-Anton's Twister Tweed gives your work a two-tone, textured look and comes in 29 special two-color combinations. 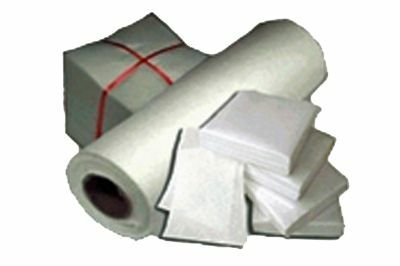 It is made from the same high-quality, high-strength imported rayon Use it in applications where a silky luster and soft hand are desired. 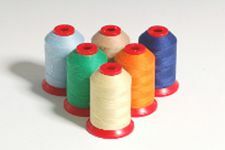 Robison-Anton Super Spun Polyester is a general purpose, middleweight (Tex 35) sewing thread that comes on 700 yard mini-spools. 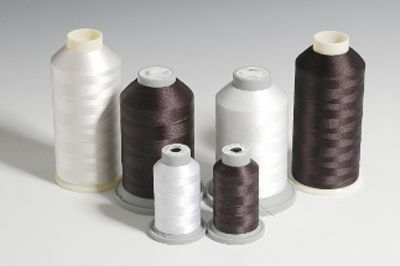 This thread normally sells for $3.00 a spool. 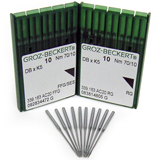 It is on closeout priced because Robison-Anton has replaced it with its matte finish Excel and Perma Core products. 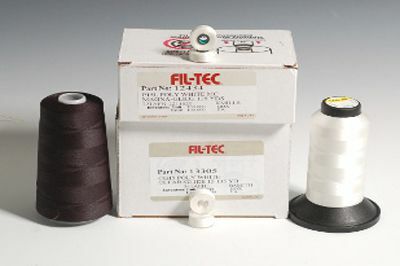 It is not embroidery thread.